It should come as no surprise, to anyone, that cannabis has been deified by proponents and supporters who regard it as a cure-all for a number of ailments afflicting both the body and the mind. We are often told that cannabis is an effective treatment for ailments as non-descript as chronic pain to insidious diseases such as cancer. It begs the question, to what degree is this rhetoric true, verifiable, credible, accepted, or supported? Every day, organic search results and social media platforms are flooded with links to new “studies” claiming, suggesting, or intimating that cannabis is, or could potentially be, a viable treatment for a host of physiological and psychological problems. These “studies” are generated with such frequency that it becomes nearly impossible to unpack the falsehoods perpetuated in one post before five more take its place. The internet is a powerful tool and it would be an asset to individuals looking to post thoughtful, transparent, and cited content. Unfortunately, quality content and the individuals who create it, are supplanted by the prevalence of clickbait and individuals who are vying for page views and conversions. To make matters worse, the companies that have taken up the task of indexing and organizing the web for us have increasingly trended toward an “internet of, and for, things” tailored to support marketing and sales. While this has made search engines more intuitive in terms of connecting us with websites or pages that most closely resemble or answer our search queries, it has had a negative impact on content that was not expressly written with page views or ranking in mind. The result has been that what would be considered quality writing in other forms of media is considered verbose, dense, and not user-friendly online. Search engines, and the businesses they serve, have discovered that the average person doesn’t like to read, or learn for learning’s own sake. As a result, information has been excessively commoditized. Consequently, businesses and marketers, to remain competitive, continually recycle and repackage content of little depth. In a way, they are hoping to capitalize on the intellectual laziness of the average web user. In the context of cannabis, this means that a person is much more likely to be presented with a disingenuous or inaccurate post entitled “The Top 10 Health Benefits of Pot” than they are legitimate research. Competing with the onslaught of poor-quality information is incredibly difficult. It is not as simple as increasing the volume of output for good-quality information. This is for a very simple reason; it takes a fraction of the time to say something stupid than it does to say something smart. If it takes you longer to write something than it does for you to conceptualize it in your mind, then it is more than likely an idea of little depth, and by extension an article or post of little substance. The reality is that the web caters to, and rewards, individuals who prize frequency and volume to the detriment of quality research, writing, editing and citation. Ostensibly, engagement is high insofar as people are clicking, liking, sharing, posting, up-voting, downloading, and subscribing. The truth is that while these online interactions represent physical engagement with content (print or video), a channel, or website, it in no way demonstrates intellectual engagement. As far as any of this pertains to cannabis, the onus is on both content creators and web user’s to care about what is said, how it is said, and why it is said. Content creators must adapt to the commoditization of information without sacrificing integrity, and web users must become more discerning. Source your information from individuals or sites that have a clear value-set, and who take steps to be as transparent and legitimate as possible whether it is the inclusion of disclaimers, proper citations, the inclusion of systematic or primary research, or peer reviewed literature. 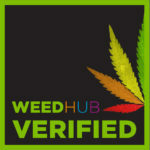 This site is my attempt at providing sourced and cited content to empower people to make informed decisions as cannabis users and consumers, as well as for their health. Some of the material on this site is anecdotal, but in those instances it will be abundantly clear that the post is subjective. If you would like to contribute to this site, or collaborate on content, please reach out to us!